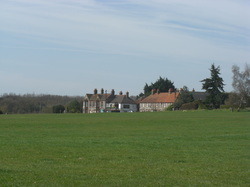 Wheeler End Common, Buckinghamshire from across the common. 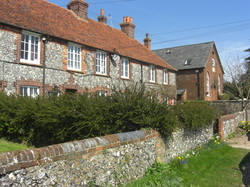 Charles Mortimer and Greta Wood lived here from 1940. 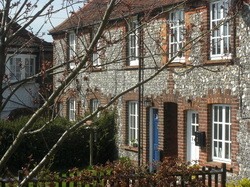 5 Chapel Row at the end, next to the Brickmaker's Arms. 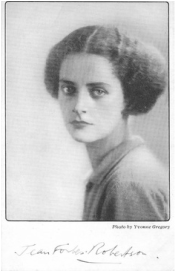 An early promotional picture of Greta Wood. 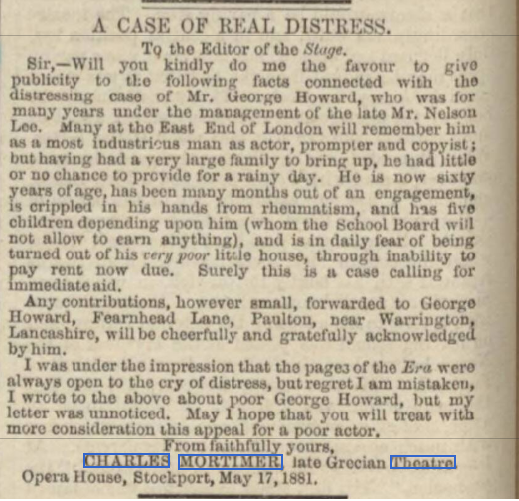 This letter was written to, and published by, The Stage, on Friday 20 May, 1881. 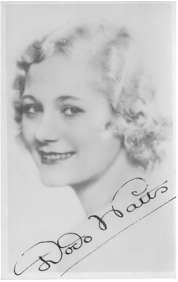 Greta Wood studied at RADA and made her first London appearance in "Paddy the Next Best Thing", at the Savoy. 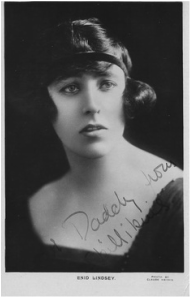 In New York played with Jack Buchanan in "Wake Up and Dream", and has appeared with Flora Robson in four plays - "Autumn", "The Return", "Suspect", abd "The House by the Lake". 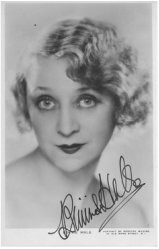 Her TV plays include "David Copperfield", Nicholas Nickleby", and "Our Mutual Friend". 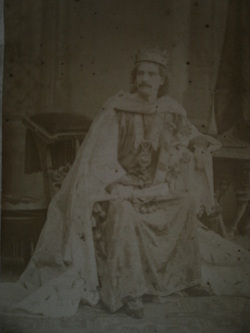 This was taken from the programme for "Time and Yellow Roses". 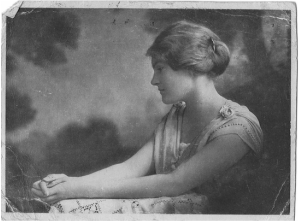 This early picture of Greta was taken in 1916, and used as a postcard. 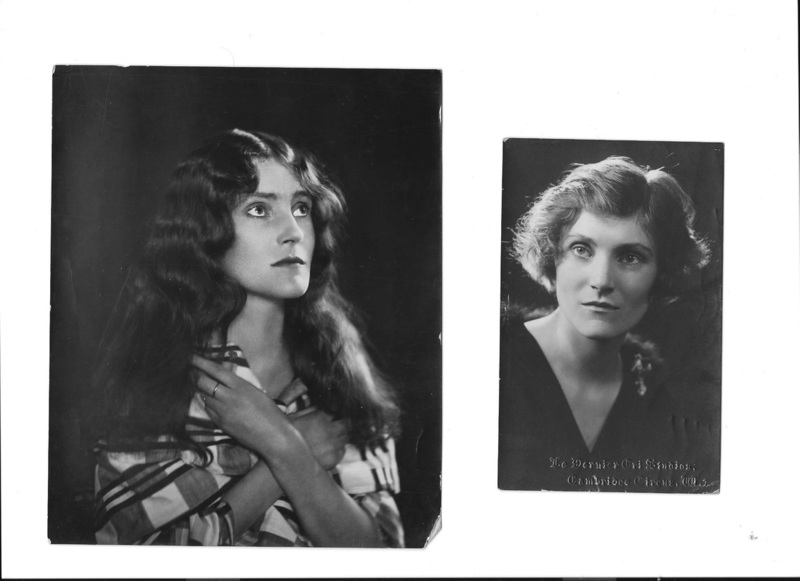 More early promotional photographs of Greta Wood. 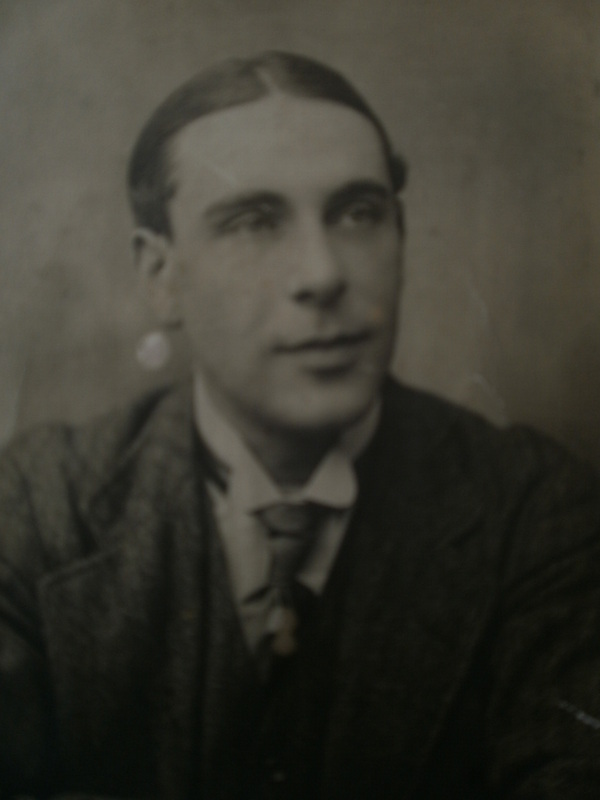 The picture on the right was taken in 1921. 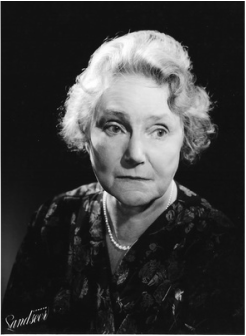 Greta Wood in the 1960's. 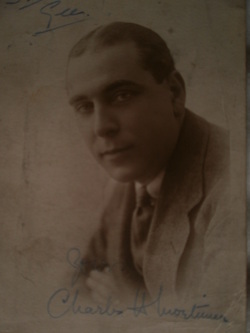 Charles Mortimer in 1916, at about the time he met Greta Wood. More promotional photographs from the 1960's, including, on the left and above, a still from David Copperfield. 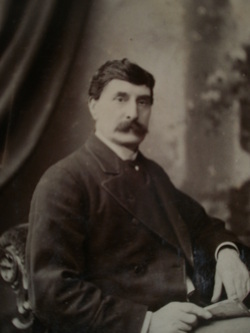 Charles Mortimer in later years. 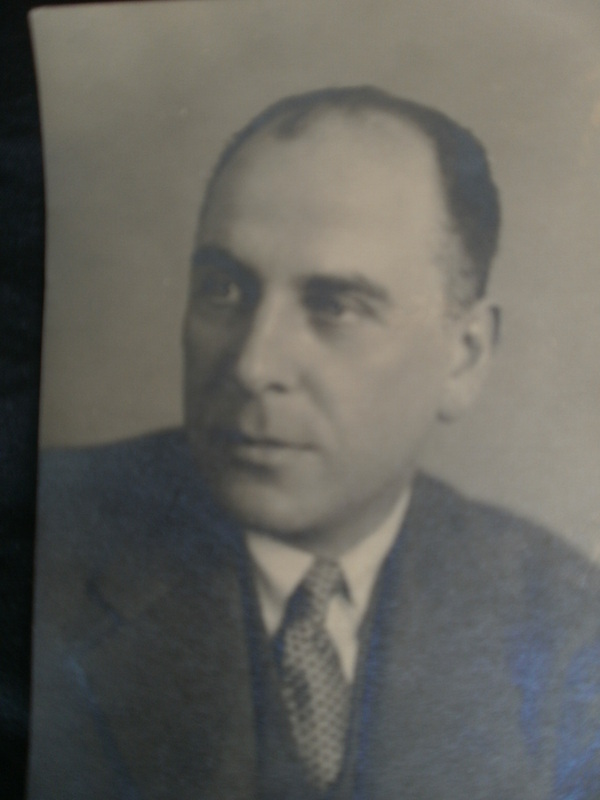 Werner Krauss appeared in "Before Sunset" with Charles Mortimer, in 1933. 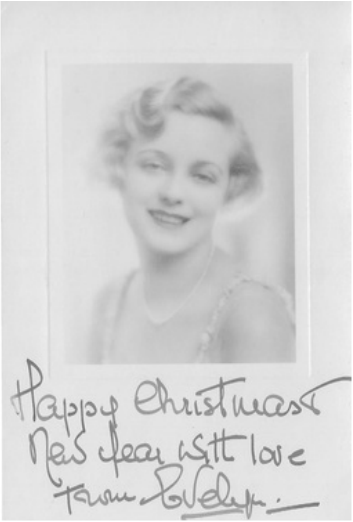 Binnie Hale, sister of Sonie Hale, who starred in "Evergreen" with Jessie Matthews. 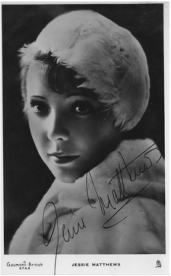 Jessie Matthews, star of "Evergreen", in which Charles Mortimer played a butler. 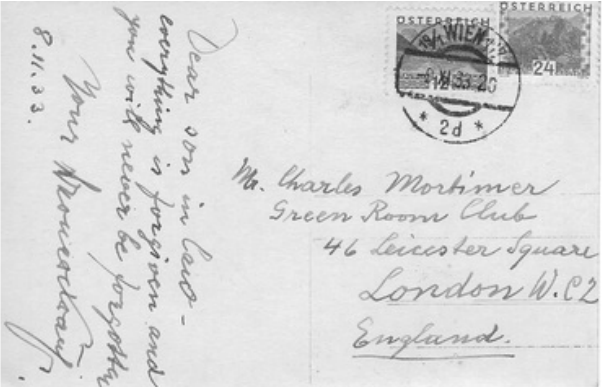 This card was sent to Charles from Vienna, Austria, on 9 November, 1933. 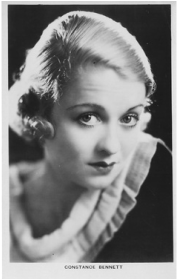 Evelyn Laye, who starred in "Bitter Sweet", in New York, in 1929, with Charles Mortimer. 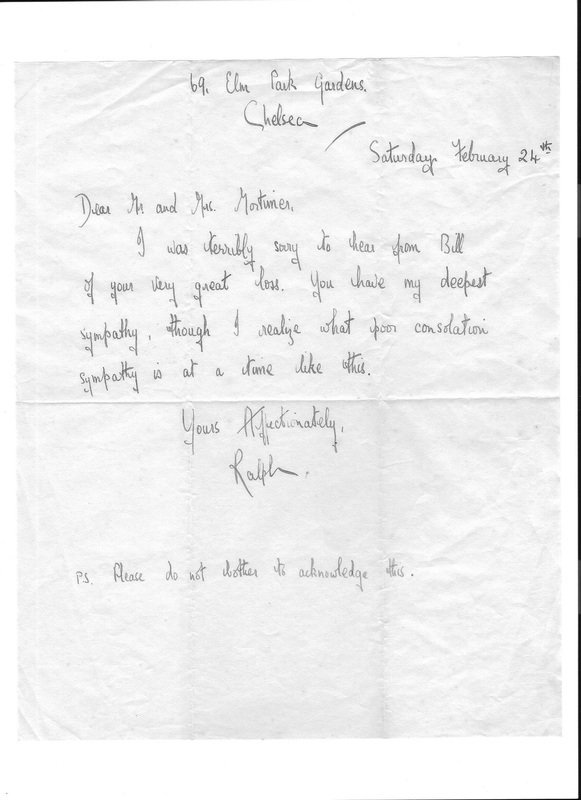 I believe this letter was written to my grandparents by Ralph Richardson, on hearing of the death of their eldest son, Basil, RAF, who was killed in February, 1940. 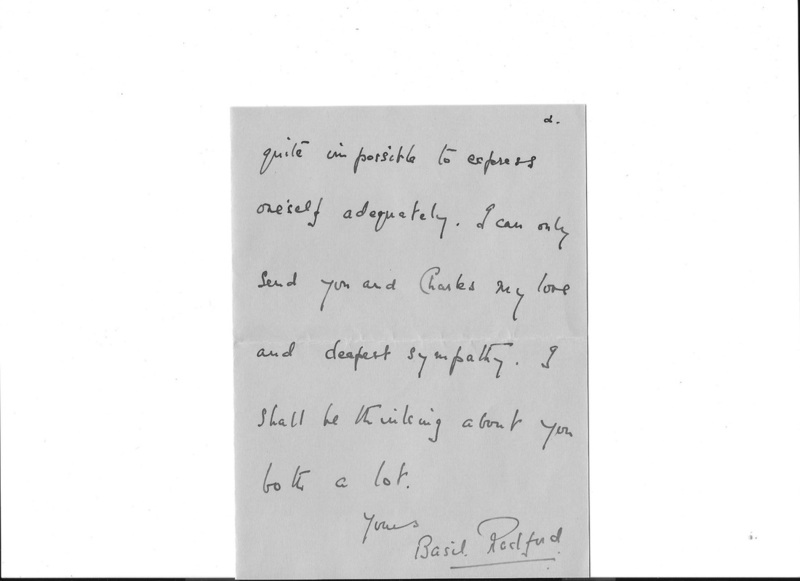 Below is a letter on the same subject from the actor, Basil Radford. 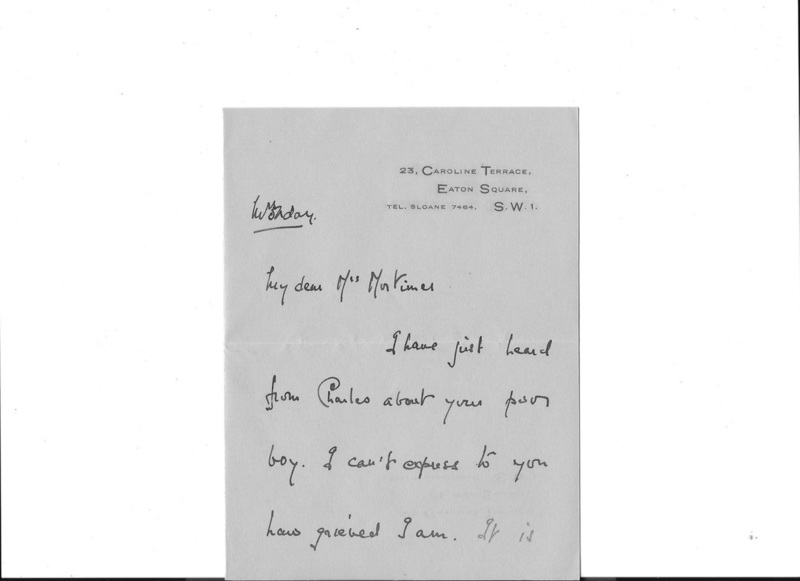 First of all I am sorry that it has taken me such a long time to write to you about your grandmother and the play we were in, all those years ago in 1961. I have been working in America and have only just got down to dealing with my mail.. I have very clear memories about the production of Time and Yellow Roses, though my contact with your grandmother was not very meaningfiul; she was not onstage during my scenes. But of course we met backstage and she was always very nice to me. "Oh, you're so young!" she would say as I galloped past her up the stairs. 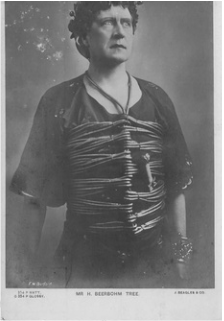 Black Chiffon in which Flora Robson had scored a triumph. 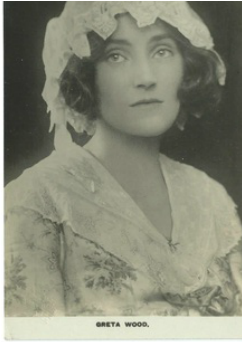 But the leading role in"Time and Yellow Roses" was not written for Flora Robson. In fact it was not written for a woman at all. The play was to tell the story of a mega-rich Belgian industrialist who had made a huge fortune in the Belgian Congo. 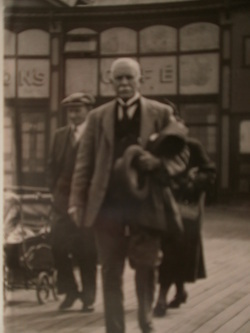 He had come to London to see his mother who was in an advanced state of senility, and suffering from dementia. He had a London address; the penthouse of a luxury hotel (the Dorchester?) and the action of the play takes place in the main room overlooking Hyde Park. His mother is confined to a wheelchair and has a 24hour nurse - superbly played by the Australian actress Madge Ryan, who played the role with a wonderful no-nonsense humour. Arranging to see his daughter he is confounded when she arrives to find that she is a deeply committed socialist with very radical views and a boyfriend who is a left-wing French journalist. (The part i would play). The daughter attacks her father; she confronts him with the atrocities committed by, or at least condoned by, Belgian industrialists. One of the worst of these men, and one of the richest, was her father. The play was in the hands of Murray McDonald who would direct the play and produce it. The script was sent to several leading actors: Laurence Olivier; Emlyn Williams etc etc. They all turned it down. Lesley Storm was deeply depressed. Then Macdonald suddenly had the idea that the leading role could be rewritten. 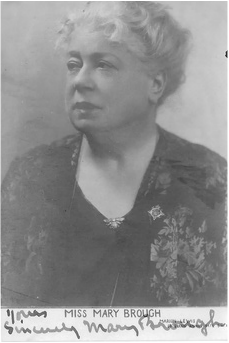 The Belgian industrialist has died and his widow (who had no real idea how her husband's fortune had been made, and what atrocities he had permitted) has come up to London from the country where she lives to sign some business documents and she has brought her mother (who is disabled and senile) with her. Then her daughter arrives with her boy-friend and tells her mother how her fortune had been made and that her father was in effect a war-criminal. in TIME AND YELLOW ROSES). Flora Robson was at the top of her game: she had just had a triumph in The Aspern Papers and she had been made a Dame. She was thrilled to accept the play by her old friend Lesley Storm and work with Murray Macdonald as director and producers. But it quickly became apparent that there was a big problem. 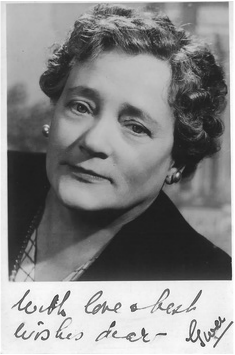 Flora was not at all poltical; Patricia Healey was a very good actress but fiercely socialist. She and Flora had nothing in common. And the spine of the play was the contention between them. Patricia came from a very different school of acting. Flora didn't understand her, and she didn't understand Flora.. Also Flora had grown up in a world where 'stars' were treated with a kind of respect; Patricia - though always polite of course - had worked in an environment where that sort of behaviour was non-existent. Rehearsals were not happy. I was fine. 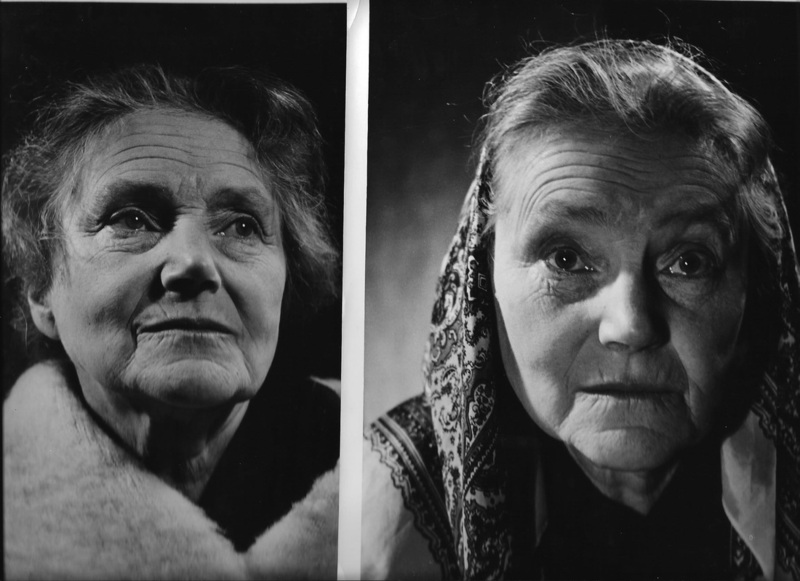 My role was well-written and my main scenes were with Flora who was always charming and easy. But then I was quite happy with my role, which didn't have any deep political dialogue. 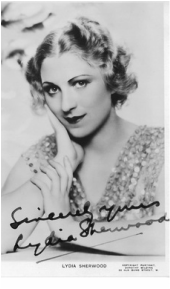 And Flora was a wonderful actress, with a beautiful voice and she was always very easy to act with. And she liked men. The first intimation that it was not going to be plain sailing was when we got on the train to Aberdeen for the opening. Flora, Patricia, Madge and I were travelling First Class. 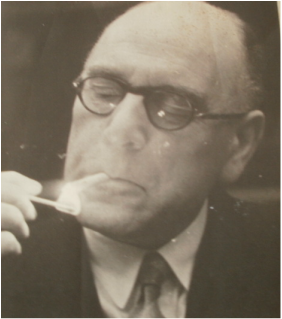 Flora was a heavy smoker. 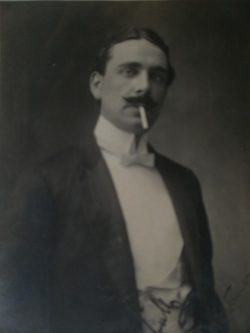 Smoking was commonplace in those days. The atmosphere in the compartment was not difficult but it was not easy either. Flora was knitting something. The wool was bright green. Madge Ryan, making conversation, asked "What are you knitting?" and Flora replied sunnily "I'm knitting a scarf for the Mayor of Johannesburg. I met him a month ago and he is charming." Apertheid was at its height. I felt Patricia's whole body tense. The play was a big success in Aberdeen. Flora was a huge star. Flora was in the centre of the line as we took our curtain calls. As she stepped forward the applause and cheering was deafening.. She reached behind her and took my hand on one side and Patricia's hand on the other and said "I present to you two new stars!" I was very touched of course. We rehearsed daily. I often sat next to your grandmother who never had much to do. "I just sit in that wheelchair and if I doze off it doesn't matter!" she said gaily. I often used to get her a cup of tea and chat with her. 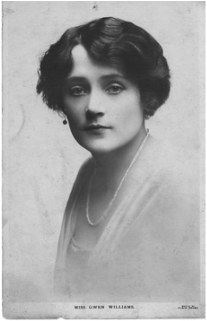 Most of the rehearsal time was spent with Flora arguing that Lesley had given her no argument to exonerate her character. I remember she said in the middle of one rehearsal. "I know my audience will be asking When it is Flora's turn? The girl has her turn. The boy has his. But when is it Flora's turn? Where is my argument to refute these challenges form my daughter?" So Lesley tried to explain that there was no argument to excuse what her husband had done. I liked Lesley very much and she was in distress. I took her for a drink in the bar. "Oh Keith" she said "what she wants is not an argument, what she wants is a speech!" Well Flora got her speech. It was a good speech. It came at the very end of the play. Flora had been to Africa and seen for herself that what her daughter had described was true. But it was too late for any reconciliation for her daughter had died. Flora delivered this speech alone onstage except for your mother listening in her wheelchair. Flora spoke through a flood of tears. She spoke about the Congo and what she had seen. She was suddenly interrupted by her mother who speaks for the first and only time in the play. She says "It's a long way." Flora, thinking as all the audience were thinking too, that her mother meant Africa said kneeling to her "A long way where mother?" and her mother said "To Tipperary." This reply was so surprising, even shocking, to the audience that it was often greeted with a burst of laughter. Or total silence.. And the curtain fell. There were long discussions about Greta's line. Should it be cut? Should it remain? Many of the company thought the line should be cut; but Flora - in my opinion rightly - said "Leave it in." The play was not a success. 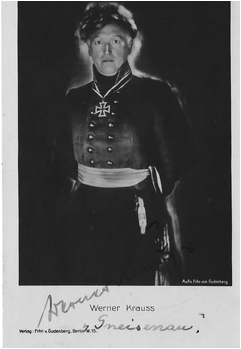 The critics were very influenced at that time by the Observer critic, Kenneth Tynan who had been to Berlin and seen Brecht and brought with him a determination to smash plays like Time And Yellow Roses. 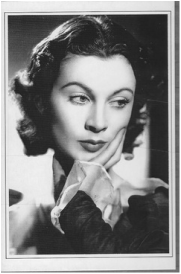 Vivien Leigh came and we had supper and she thought Flora had given a great performance. Could it have worked? There is no answer to that of course. 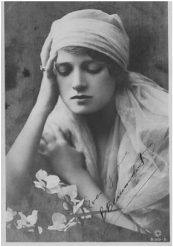 But there was no doubt in my mind that Patricia - good actress that she was - had unnerved Flora who was baffled by Patricia's politics and by the way she brought them into her work and into her performance. She made Flora nervous. engage in a political argybargy. It baffled her. We did not survive long in the West End. It had brought me luck; the director of A Man for All Seasons was looking for a young actor to play Henry VIII on Broadway with Paul Scofield; I was given the role. 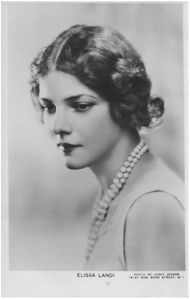 I liked Greta and said a fond goodbye to her; I never saw her again. I had quite an emotional farewell to Lesley Storm and of course it was sad saying goodbye to Flora. 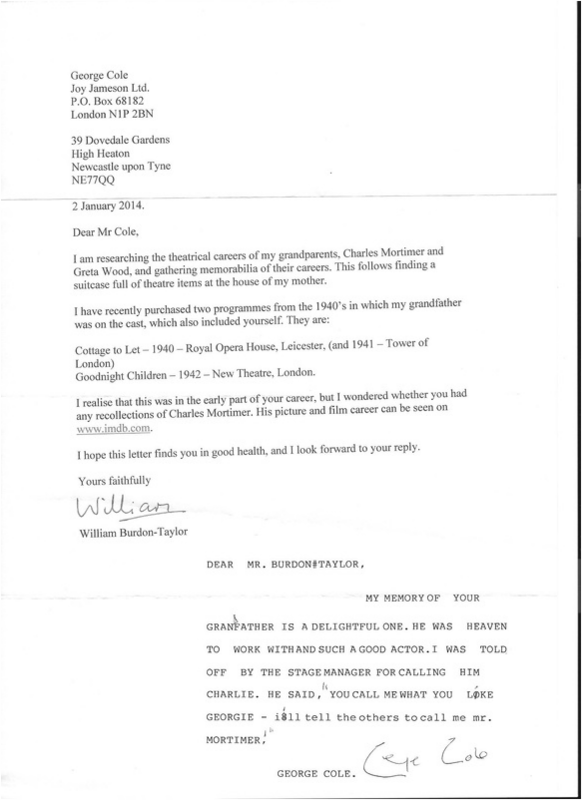 Of course you may add my letter to your archive. 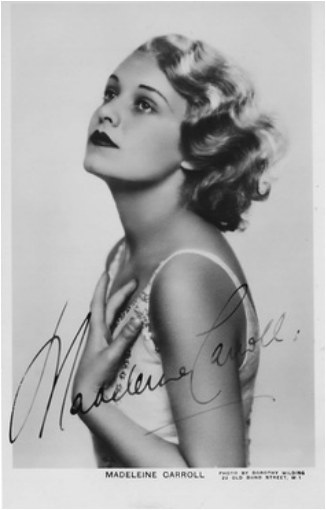 as "two new stars".......It was very sad because Patricia, a very fine actress, had her own integrity. portraits of George III and Queen Charlotte.